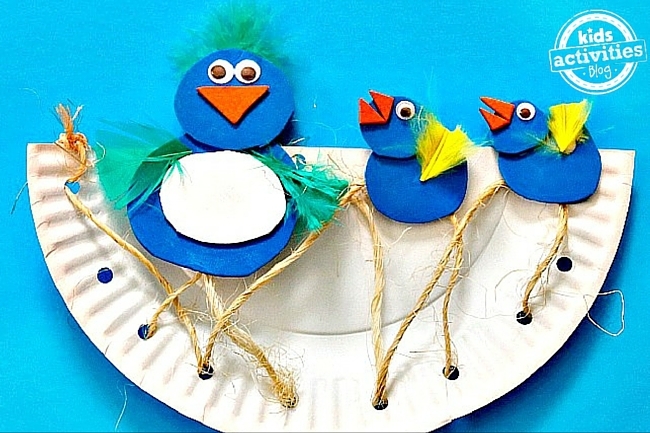 Spring is upon us and that means new life everywhere, bring some baby birds into your home with this Momma and Baby Birds Craft. When you’re all done you check out some of our other spring printable crafts and activities. Cut the paper plate in half. Use the hole punch to make random holes all over the plate. Weave the twine through the holes. This gives the appearance of twigs and grass in a bird’s nest! 1 large blue circle, 3 medium blue circles and 2 small blue circles. Glue the white circle onto the large blue circle. This is the momma bluebird’s body. Glue a medium circle onto these for the head. Add eyes and beak. 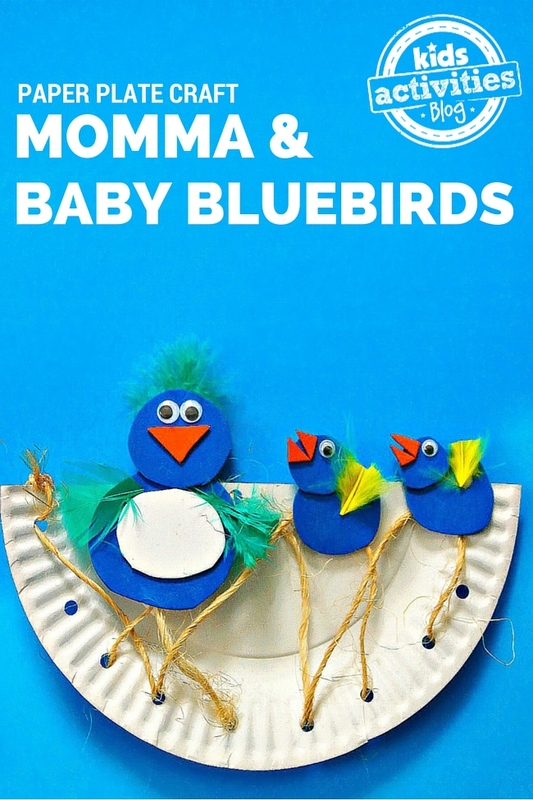 Assemble the baby bluebirds by gluing a small blue circle (head) onto the medium circles (body) then add the eyes and beak. Finish with some craft feather wings and glue to the plate, well.. nest ! 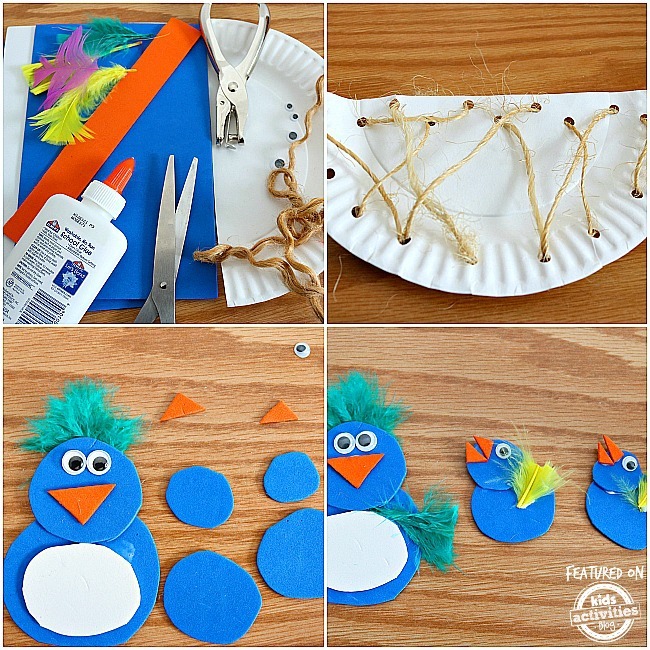 Add to the learning when making this craft by reading some books that discuss how birds build nests, how baby birds hatch, how momma birds feed the babies and how they learn to fly!